Patrick Gibbons and Scott Emerson cut the ribbon at the new facility. There are two bulk pick zones for fast moving items. 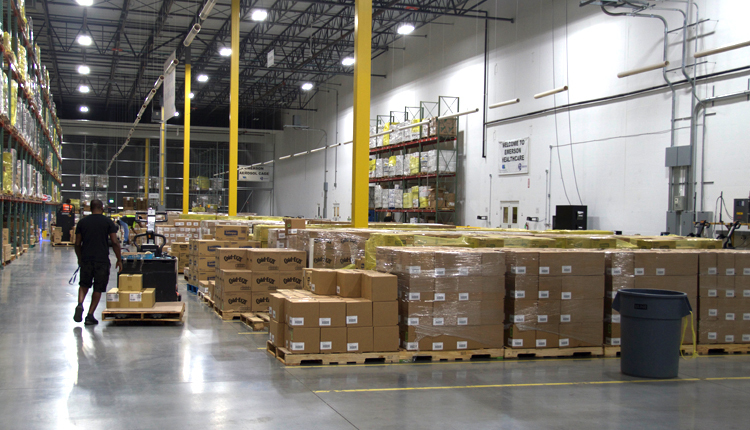 The warehouse building is about 545,010 square feet. 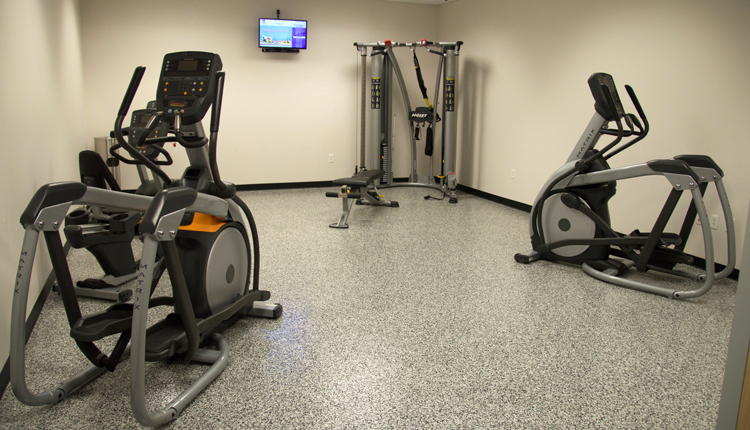 The warehouse’s amenity’s for workers include a fitness center. A tour of the new facility. The receiving dock has 20 dock doors. CLAYTON, Ind. — The Emerson Group recently held a ribbon-cutting ceremony this week to celebrate the opening of a new warehouse facility. 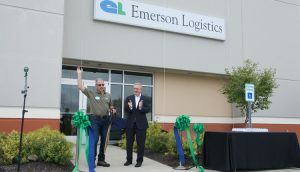 The new warehouse is allowing Emerson Logistics to consolidate its operations in the Indianapolis area into one building, boosting efficiency while also dramatically expanding its capacity to handle recent growth in its business, and its ability to continue growing. 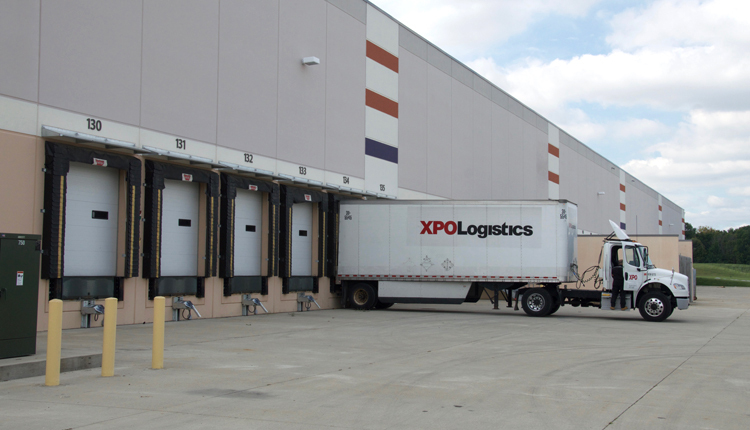 The 545,010-square-foot facility has a cross-docked configuration, and has ample room for staging lanes on both the inbound and outbound sides of the building. The larger facility also allowed for improvements to the picking layout, including the creation of two bulk pick zones for fast-moving items, and increased pick front capacity. 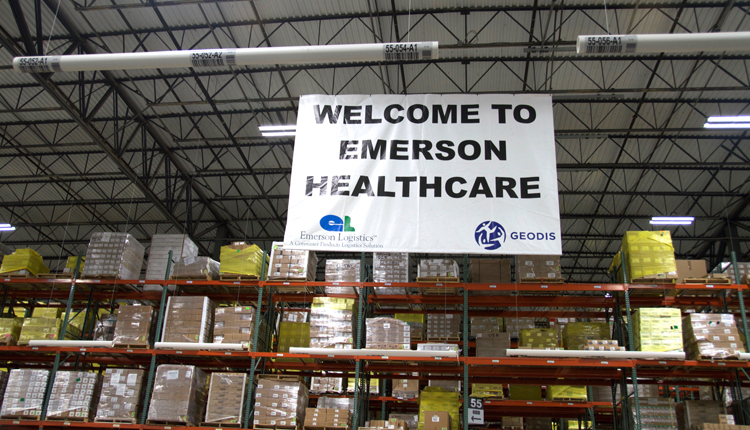 Current pick performance in the new facility is at 80%, versus 55% in the old facility, and there have been increases across the board in every productivity measure, according to Geodis, the transportation and logistics firm that is Emerson Group’s partner. 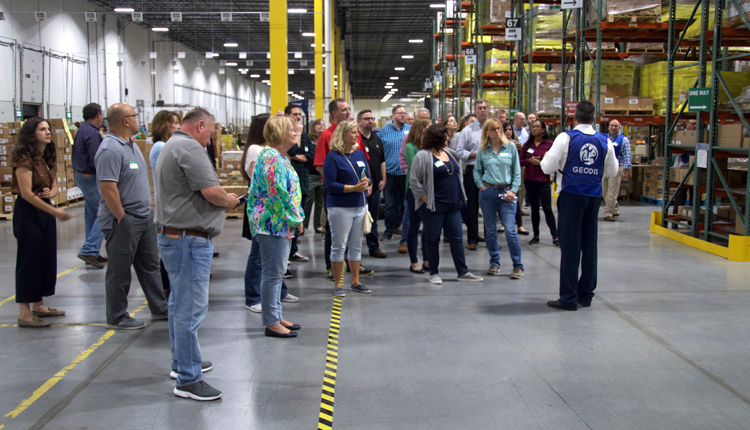 Finding ways to improve efficiency has long been a focus for Emerson, according to Patrick Gibbons, founding partner and vice president of operations at Emerson Logistics. Emerson Group started as a sales marketing company, and in the beginning it faced headwinds in its efforts to sell niche products from small and medium-size companies to large retailers who were struggling with SKU proliferation. It also produced cost savings to Emerson’s clients. 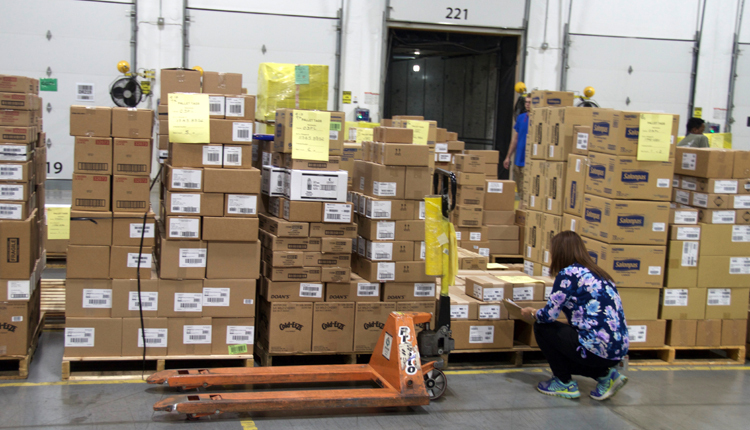 The need for cost savings and greater efficiency is growing today, Gibbons said, as the supply chain becomes more central to everyone’s business. Meanwhile, there’s a shortage of truckers and good supply chain people, which is why the new warehouse has a receiving office with free soft drinks and snacks for truck drivers delivering merchandise (there’s another one on the other side of the building for truckers picking up outbound merchandise). There are amenities like a gym and cafeteria for warehouse workers for the same reason — to help attract the best people.